That makes it the perfect place for maximum exposure on the web…if you know what you’re doing on the platform. It doesn’t take much to wake up the trolls that lurk just beneath the surface. One wrong step and your chances at Reddit success are over before they began. However, Jimmy Hickey, the Founder of Findlay Hats, was able to figure it out. 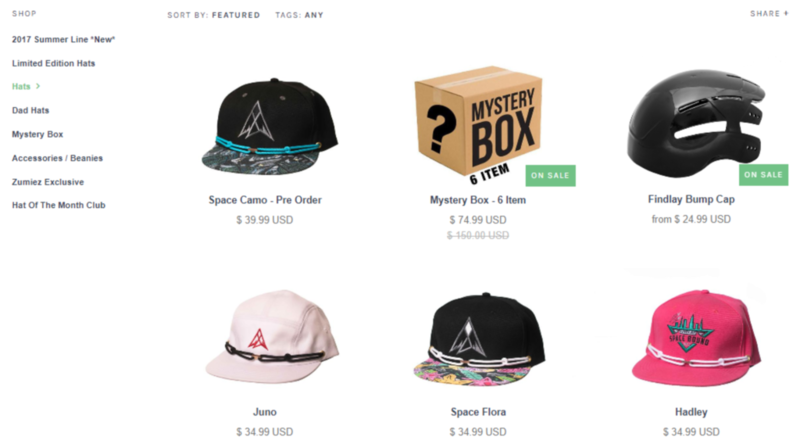 And users ate his content up, driving $28,000 from one viral post about his hats with customizable laces and hidden pockets. Here’s how Jimmy Hickey hit it big on Reddit, and how you can, too. 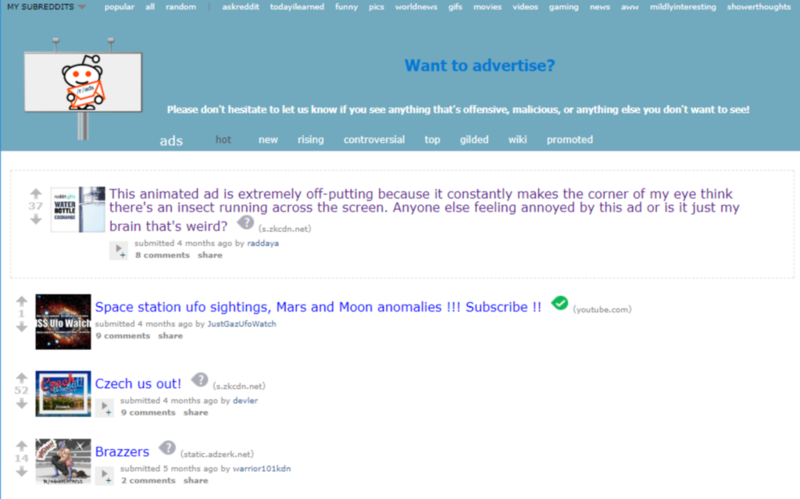 You’re asking for trouble by blindly slapping an advertisement or promotion on Reddit. Instead of getting the support you need, you would be simply branded another yet another “Reddit marketer” who gets driven off of the platform. The best way to market on Reddit? Don’t actually make it obvious that you’re marketing. Reddit users hate self-promoters because clogging up subreddits trying to get people to buy their products takes away from the content that redditors signed up for the site to view in the first place. If users don’t like your post, they will downvote it, and go as far as trying to get you banned off of the site forever. Therefore, most marketers give up on the site entirely. They get chewed up and spit out by a rowdy, annoyed user base. And they become humiliated when eventually get booted from the site. But here’s why it’s worth the risk. 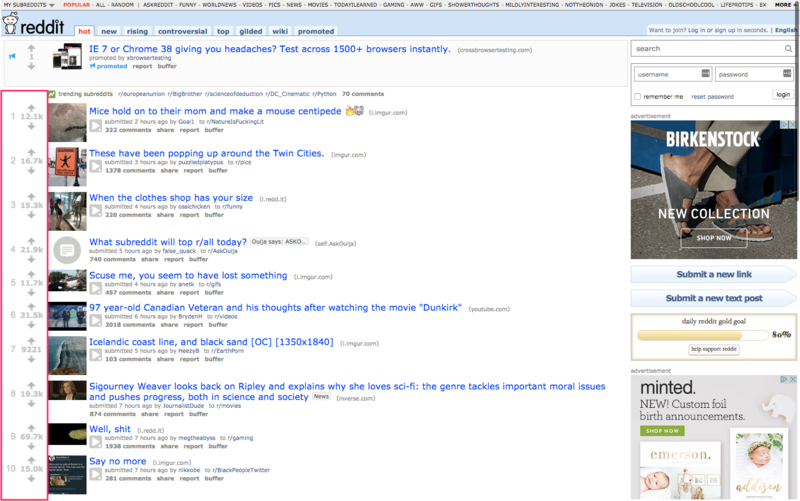 Head over to the Reddit homepage right now and check out the views of each top thread. Make it anywhere close to the homepage of Reddit, and we’re talking thousands of visits (not to mention, paying customers). Reddit marketing is a complex thing to master, but it can eventually be done. And once you master it, you unlock a limitless world of being able to regularly promote your website. Here are the two biggest problems that marketers come across when trying to master Reddit marketing, according to SocialFresh. Reddit users love humor, memes, inspiring photos, throwback/nostalgic images and posts, liberal news, games, celebrity posts, live Q&A’s, and technology. The Reddit community knows exactly how to spot marketers and PR posts from a mile away. They will sabotage any other user who is clearly marketing their business or product. Reddit is a community, not a broadcasting medium. And the strength of any good community comes down to the people inside. A few bad apples can leave a rippling affect that jeopardizes the entire rest of the group. So their users are (rightfully) fierce about protecting the health of the greater good. Here are a few examples for getting started with Reddit marketing if it’s your first time. The simplest way to get started with Reddit is to start by listening instead of talking. That means you go out, look for a few relevant or interesting subreddits, and start following along. This gives you enough time to pick up on each distinct culture and language. For example, I’ll show you a B2B SaaS one first so you can see that there are literally subreddits for anything out there. Each will give you some basic instructions and guidelines for what the group likes (or doesn’t like). Over the next few minutes, hours, or days, start noting the major post themes, preferred media types, and more. After getting comfortable during this initial ‘breaking in’ period, look for any questions you might be able to jump in and answer. Now, let’s proceed to the next step once you’ve gotten comfortable. You have to create posts that are appealing to readers if you want to see a large amount of traffic from Reddit. That sounds obvious, but there’s actually a little more nuance than meets the eye. Redditors are more likely to engage with your posts when they’re ultra specific. Vague and overly generalized doesn’t cut it. This means that you must research subreddits and find out what posts are already listed or answered (don’t be that guy or gal), which ones to be the most popular, and what users are saying about them. In other words, reverse engineer what’s working and what’s not. That’s what Jimmy Findlay accomplished in this Reddit post from over a year ago. He could reportedly tell the post starting taking off within fifteen minutes. He’d already spent the time getting acquainted with how Reddit’s unique community worked (see Step #1) so he could tell what the increasing momentum looked like. Your job as a business owner is to sell. That still holds true, no matter what some weird, obscure community thinks of you. The trick, then, is to beat subreddit users to the punch with any potential concerns they might have with your posts. Addressing the community’s concerns before they can downvote you, troll you, or report you is the key to keeping Reddit on your good side. So be sure to include this tactic in your initial post within a subreddit. For example, you can use a simple text post to promote something, explain why it should be relevant or of interest, and then don’t leave users with any questions or excuses not to click through your site. You can even tell them the truth about what you’re promoting, as long as there is something of interest in it for them. 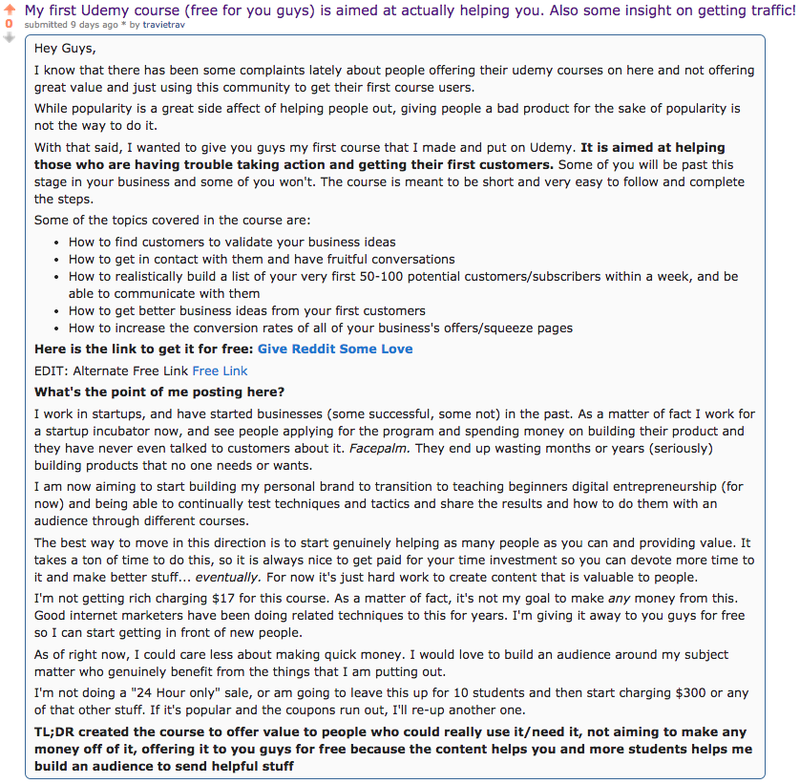 Here’s how Travis Levell did it with his first Udemy course. He started by acknowledging the past spam or abuses with the same tactic, but then tried to clarify how he was different (and how his own personal motivations were different). As you can see, that’s a long post! It was important for Travis to recognize the risks of posting something promotional, but ultimately stake his claim and make sure everyone knew he was trying to be on the up-and-up. Note: Don’t promote something over and over and over and over and over. Just because your marketing posts have had a success (or two) in a subreddit in the past doesn’t mean that you can promote your content there whenever you want or too often. All users on Reddit (as well as moderators) have the ability to view your activity across the site and liberally use their spam filters if something looks fishy. By posting your URL on the site too often, you are risking all the hard work you have put in up to this point. Reddit’s spam filters will block your domain, so that if any user posts it is invisible. From here, they can (and will) also “ghost” your profile. When you are ghosted, your posts will be invisible to everyone on the entire website but you. So while you might not think there’s anything wrong or suspicious, your content will literally not be visible to anyone else on the website. Hickey knows about this phenomenon all too well. Otherwise, you can simply advertise (more on that in a bit). When someone leaves you a comment, be sure to reply to them with at least double the number of comments. If they leave you one, leave them two. Etc. But there’s a good reason for this commenting strategy. New comments on posts help draw in others. So that extra activity and engagement can go a long way to increase your post visibility. For example, you can even be the first person to comment on your own link. So the user posted again and again and again to eventually drive the total comments over 2,800! Reddit has advertising options. It’s worth testing if you figured out how to navigate and generate sales from Reddit communities. Option #1. Experiment with self-serve ads, first. Reddit’s self-advertisement option is the most effective kind of ad to start with for a beginner. These promoted posts are cheap, flexible, and fairly easy to create. With these posts, you have the option of either adding an external link to your site, or an internal link to a text post. These ads act more-or-less like a typical Reddit post, so other users still upvote, downvote, or leave comments depending on how relevant or interesting it is. You also have the option to pay for a top page spot for your post in the front page feed (or subreddit of your choosing). Right now, Reddit has a flat rate of $0.75 CPM for self-serve ads. Keep in mind that you might run into a problem if there aren’t enough impressions left to purchase. So that’s why choosing smaller subreddits can often help you get around this issue. 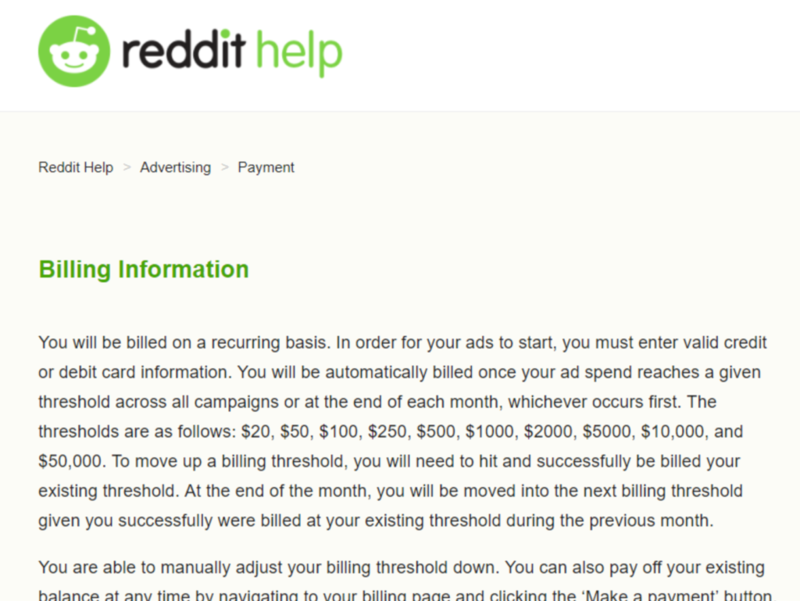 Go check out Reddit Help for more information on billing costs. Option #2. Next, progress to display ads. The AdZerk engine is what powers display advertisements on Reddit. This lets users upvote or downvote banner ads. And a downvote results in the user being blocked to that promoter’s ads in the future. 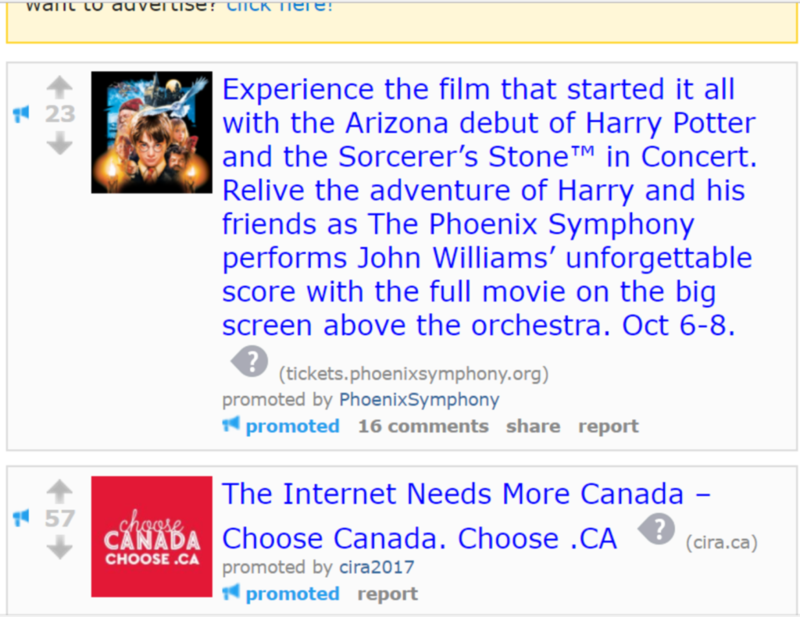 Every banner flow has a link to a subreddit where users discuss banner ads on the website. These ads are slightly more difficult to pull off, and they require more involvement with Reddit before getting a new campaign off the ground. For example, you have to reach out to Reddit’s ads team and choose from homepage or subreddit posts, banners, or the design of co-branded promotional posts with the Reddit team themselves. Option #3. Last but not least, you can sponsor Q&As, too. Sponsored Q&A’s are similar to “Ask Me Anything” posts, but they are created directly with the Reddit team and promoted across the entire site (along with several relevant subreddits). Sponsored Q&A’s can last for hours or even days, and you can even set aside times for your Q&A professionals to come into contact with Reddit users. 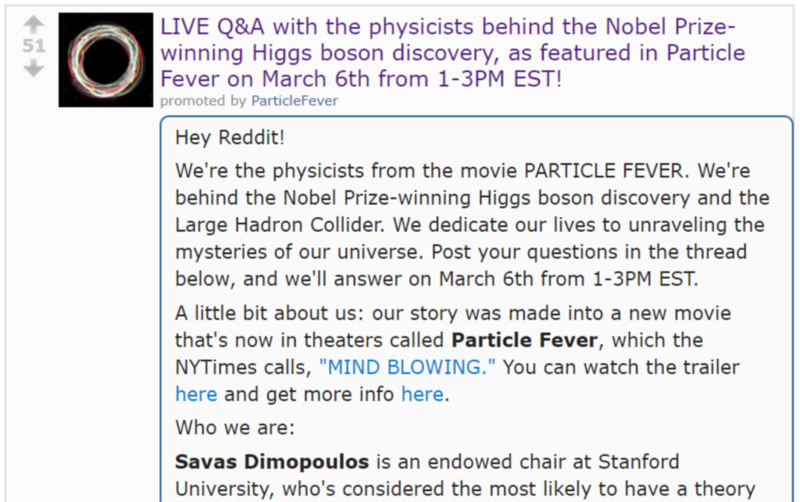 A great example can be found here, in a Q&A with the physicists from the movie Particle Fever. What is your experience with Reddit? Successfully using Reddit to promote your business requires some up-front research, time, and energy. Don’t skip this step, though. Marketing on the platform involves walking a very thin line between entertainment value and useful information about your product or service. Best case scenario? Your promoted posts drive users right to your company and send your sales skyrocketing faster than you can keep up with them. Worse case scenario? Users will roast you in the comments section and forbid you from using the site for advertising again. 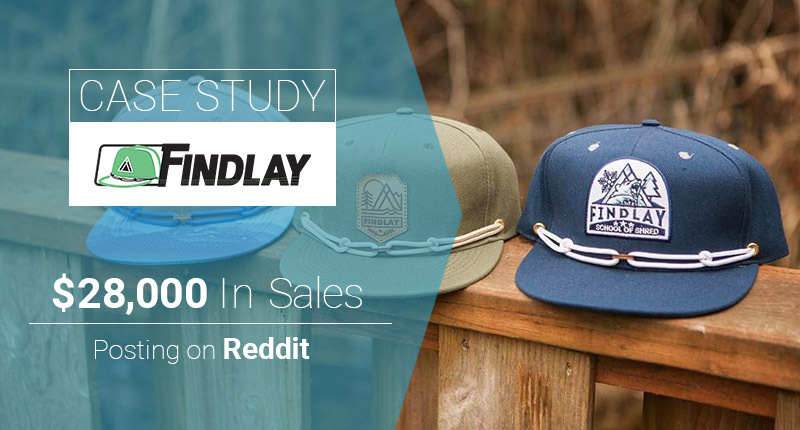 That’s why Finley Hats’s $28,000 post is an exceptional example. Redditors loved the owner’s humorous post, went to his site, and made a purchase after finding that they liked his product. What subreddits do you like using for ecommerce promotion?